Radni jezik je engleski.Slanjem aplikacije izjavljujete da se slažete sa uslovima prijavljivanja i učešća. 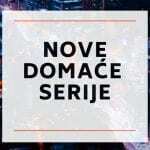 18.-27.07.2019 – Program Digital Entrepreneurship Project: Empowering Disadvantaged Young people with Resourceful Digital SkillsMolimo Vas da sva vaša pitanja u vezi konkursa pošaljete u pisanoj formi na email: [email protected] sa nazivom „UK-2019“ najkasnije 5 dana pre isteka roka za konkurisanje (25.4) i ljubazno se uzdržite od bilo kakvih telefonskih poziva ili ličnih poseta. “Social entrepreneurship for sustainable growth among disadvantaged youths” is part of the long-term project called “Youth Challenge Project“ for a sustainable and inclusive growth” of young people in less serviced areas in participating countries. Experiential activities will challenge participants, working together in groups to create hypothetical social businesses during the “Social Enterprises Game“ in which they will build and fashion out their own socio-preneurship identities, create their own corporate social structures and identify it’s impacts on the society.